So you’re a YouTube addict, and you find it difficult to make it through an entire day without browsing through the latest videos at YouTube. You’re desperately trying to find out how to get on YouTube at school. Now, you could certainly attempt to bypass blocked sites 5 Methods to Bypass Blocked Sites 5 Methods to Bypass Blocked Sites You're at work or school, but you want to check on Facebook, or watch something on YouTube. It's blocked - so how do you get around this and ruin your productivity? Read More using an application like FreeProxy How to Bypass Firewalls & Get Into Blocked Websites in School or at Work With FreeProxy for Windows How to Bypass Firewalls & Get Into Blocked Websites in School or at Work With FreeProxy for Windows Read More , but as many readers noted at that article – it’s also a very good way to get suspended from school (or fired from work). Instead of attempting to circumvent the school’s computer system to access YouTube, you could always make use of that cool little Windows Mobile device you were able to convince your parents to buy you for your last birthday. No matter where you are – sitting on the bleachers at the football game, riding the bus, or sitting way in the back of the class during an exceptionally dull lecture – just enable your wireless Internet connection and start watching hilarious YouTube videos on your phone! If you have a mobile device that’s installed with Windows Mobile, and you’re lucky enough to have a decent mobile Internet plan, there are a number of methods you can use to post YouTube videos, and an app you can use to post to eBay, Facebook and YouTube. 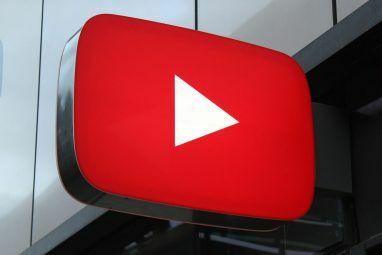 However, YouTube itself now offers the ability to both play videos and broadcast your own videos from your mobile phone. This feature now allows anyone to instantly stream realtime videos directly to YouTube. No more waiting until you get home so you can load it onto your computer and upload it to the website. With this feature, you can instantly post witness accounts of a natural disaster or government atrocities no matter where you are or where the nearest computer is. If there’s a cellular provider with a mobile Internet plan, this YouTube feature turns you into a walking online witness through which the whole world can see the sort of things that you see every day. Start telling your story through video images streamed directly up to YouTube from your phone. Whether you choose to “play” or “create” on YouTube from your mobile phone is up to you, but both features offer very cool opportunities. Now you can watch videos while you’re sitting and waiting for your name to be called at the restaurant. Capture a video of a crime in progress (don’t get too close) and feature it at your YouTube account before even the local media has any clue what’s going on. Playing YouTube videos on your mobile phone is easy. All you have to do is open up your mobile web browser and visit “http://www.youtube.com.” If you visit from a mobile device, you are automatically redirected to the mobile version of the site. This mobile version of YouTube will work whether you have Windows Mobile of just an Internet-enabled cellphone. You can search through videos or browse the front page of the newest ones. Watching videos from the mobile version of the website includes two technical requirements that you need to be aware of. Your mobile device needs to support RTSP streaming, and your cellular carrier needs to allow streaming video on your device. Now, if it doesn’t work on your mobile device, don’t despair. As you can see, there’s an option to download the YouTube application to your mobile device. If you do have a Windows Mobile device, then you’ll want to consider clicking on that “download application” link, as the mobile application version of YouTube is much more functional (and better looking). 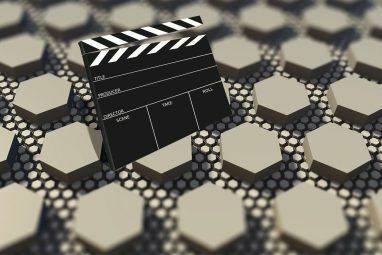 Within the YouTube mobile application, most of the videos play clearly and with very little skipping – especially if you’re connected onto a Wi-Fi network. If you’re only on the cellular data line, you may need to give the videos some time to download to your device before you click the play button. Now, uploading the videos you recorded with your device is almost as easy as downloading videos to watch. All you need to do is sign up for your own YouTube account (you can connect it with your Google account). Once you do, YouTube will provide you with your own mobile email address ending in “m.youtube.com” where you can send your videos to get instantly published under your YouTube account. Setting this up takes just a matter of minutes. 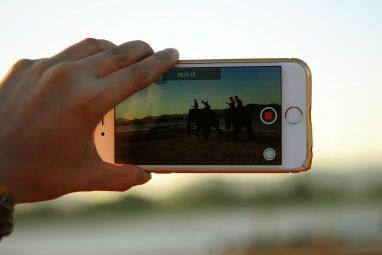 Then, turn on the video capture feature of your mobile device, send the video file to your mobile YouTube email account, and you’ve just instantly posted your own mobile email to the Internet without the need for a computer. Now that’s sweet. To test it out, I took a 17 second, blurry video of my skinny cat who was lounging in bed. In less than 5 minutes of emailing the video from my phone to my mobile YouTube email account, the fuzzy video of the silly little critter was up live on YouTube! All I’d have to do is increase the resolution of my video capture and I could become the next online Oliver Stone! Just imagine the “compromising” situations that you could capture your friends in at school – and then publish it on YouTube instantly for the world to see! Now, no corner of the world is safe from the snooping video-camera eyes of the mobile phone crowd. Be afraid… be very, very afraid. 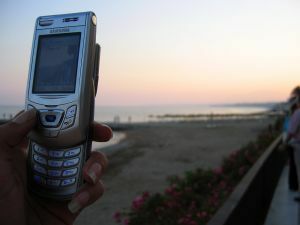 Have you ever used any other tools to instantly post video from your mobile device to the Internet? Share your own tips in the comments section below. Not using a Windows Mobile device? Grant shows you how to stream live video from almost any cellphone or you could check Qik out. Explore more about: Online Video, Windows Mobile, YouTube. wow,It's so cool.I have a Nokia 5800,I can do this ?before this,I was convert the videos to my 5800 .but now,I can enjoy videos online!thank you very much!thanks for your sharing.